This sounds fun! The Alexandria Bicycle and Pedestrian Advisory Committee and the Alexandria Spokeswomen are hosting a family-friendly ride around Del Ray this Saturday, December 16. 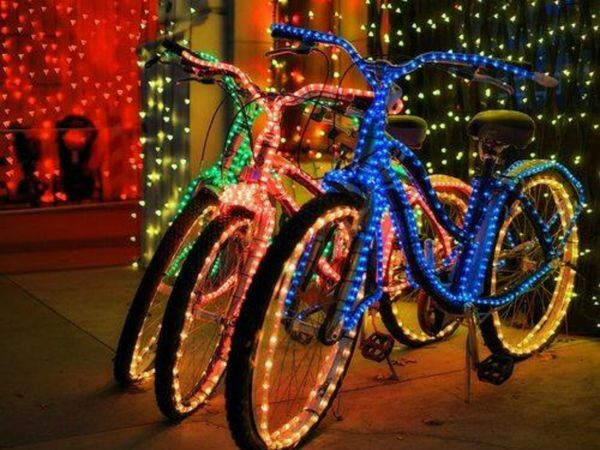 Bikers will view the amazing holiday lights in the neighborhood on their bikes, which will also be decked out with lights and decorations! The ride is about an hour long and will begin around 6:00PM at the back parking lot of George Washington Middle School. The ride is a slow, no-drop ride, which means no one gets left behind. After the ride, the group will go to an eatery for some chow! If the chance of rain (or snow) is greater than 40 percent, the event will be postponed.